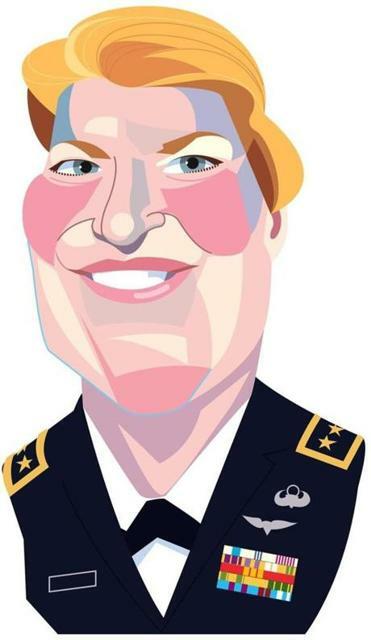 As the country’s first female four-star general, Ann Dunwoody ran the Army’s global supply chain, overseeing a $60 billion budget and 69,000 people around the world in support of operations in Iraq, Afghanistan, and elsewhere. So what is she doing as a keynote speaker at the Engage 2017 staffing and recruiting conference in Boston, which starts Wednesday? “If you walk by a mistake you just set a new lower standard,” she says. Even something as simple as a solider in uniform walking down the street with his hands in his pockets — a big no-no in the military — must be addressed in order to maintain excellence, and the same type of discipline can and should be applied to the business world, Dunwoody says. Dunwoody, who also runs a leadership mentoring and strategic advisory company, will be speaking at the staffing conference along with Steven Levitt, coauthor of “Freakonomics,” Tim Sanders, author of “Love Is the Killer App,” and dozens of business leaders. If you’re wondering if Dunwoody runs a tight ship at home in Tampa, Fla., she does, but it helps that her husband is a retired Air Force colonel. Despite four generations of West Point graduates before her, Dunwoody was planning to become a coach and physical education teacher. But a $500-a-month stipend through a program designed to recruit women for the Army at the State University of New York Cortland changed her mind. “I joined for the money but I found out I loved being a soldier,” she says. When Dunwoody was nominated as a four-star general by President George W. Bush in 2008, she “was not prepared for the enormity” of it, she says. “I got duffel bags full of mail from men, women, veterans from around the world saying they were so happy that this moment had finally come,” she says. Boston’s top hospitals aren’t waiting around to see what happens with the Paris climate accord. Hospital executives in the city decided a few years ago to collectively cut their greenhouse gas emissions by 25 percent by 2020, lining up with a legislative mandate. Now, we’re learning the hospitals surpassed that goal — three years early. Boston Medical Center CEO Kate Walsh and Partners HealthCare CEO David Torchiana will discuss their sector’s progress on Tuesday in a presentation to the Boston Green Ribbon Commission. The group, formed under Tom Menino, the late mayor, is funded in part by Amos Hostetter and his Barr Foundation. (Hostetter and Mayor Marty Walsh are the commission’s cochairmen.) Walsh and Torchiana represent the health care sector on the panel. Officials at Partners and BMC say there are cost savings in going green, as well as the obvious environmental benefits. Boston Medical Center has found $8 million in annual energy cost savings. Some of that derives from BMC’s ongoing campus consolidation, by making more efficient use of its South End space. But a recent contract to buy credits from a North Carolina solar power plant also plays a big role. Meanwhile, all of Partners’ hospitals (except Brigham & Women’s, which has a long-term contract with a Longwood Medical Area gas plant) are together fueled by noncarbon energy sources today, primarily through the purchase of credits for solar and small-scale hydropower. The mix will shift to include a significant amount of wind power in 2019. This is all happening despite President Trump’s withdrawal from the Paris agreement. And, of course, these hospitals aren’t the only major players with aggressive plans to curb greenhouse gases. Improving career opportunities for minorities and stamping out racism are ongoing challenges. Officials at the Greater Boston Chamber of Commerce are taking small but potentially meaningful steps to address the issues. The issue of race and economic opportunity has become one of the chamber’s most pressing. Mayor Martin J. Walsh urged the chamber to get more engaged on this front in a September speech, and Suffolk Construction’s CEO, John Fish, put out a similar call at the chamber’s annual meeting last month. On May 24, about 50 executives joined Walsh and the chamber’s chief executive, Jim Rooney, for a chamber-led trip to the Smithsonian Institution’s National Museum of African American History & Culture and to engage with business leaders in Washington, D.C. Separately, the Hyams Foundation is working with the Walsh administration on efforts to hold dialogues about race throughout the city and has hired the consultancies Strategic Decisions and Sustainable Equity to help. Rooney expects to be among the local leaders who will assist with the planning. And chamber board members Bob Rivers, the chief executive at Eastern Bank, and Steven Wright, partner at the law firm Holland & Knight, are leading a chamber effort to study what other cities have done to address the issue. Among the promising ideas they’ve found: an “accelerator” aimed at helping fledgling minority-owned startups in Cincinnati.